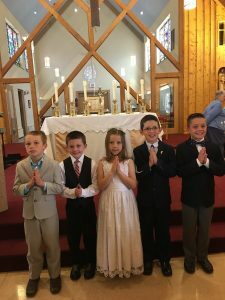 At St. Mary’s of the Lake Parish, we offer religious education classes for Kindergarten through eighth grade (confirmation year). 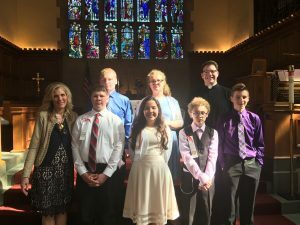 We have a two-year preparation for the sacrament of First Holy Communion, and a two-year preparation for the sacrament of Confirmation, which means that a student enrolls in and attends the St. Mary’s of the Lake Religious Education program (or has actively participated in a religious education program in another parish) and participates weekly in Sunday Mass for at least two years before the reception of First Communion and Confirmation. Religious Education is on Wednesday evenings 6:00 – 7:00 pm.